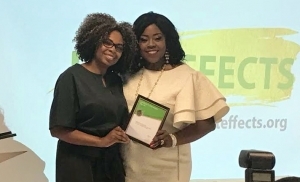 I am both humbled and honoured to have received a LiftEffects Star Award at the recent Extraordinary Woman Conference. LiftEffects was founded by Sandra Nelson and is now in it’s fifth year. The conference and awards recognises that: ‘every person that has sacrificed their time, money and energy to help someone to stand while still standing is a true star and such people are usually given a recognition star award for making a real difference in the lives of many and our world’. It was a pleasant surprise to be recognised for the female cancer awareness and fundraising work I’ve been doing for Eve Appeal and CRUK – especially as it’s a cause I’m incredibly passionate about and so never give it a second thought! 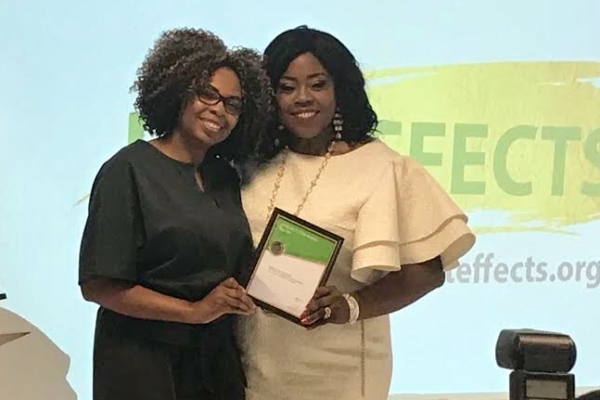 The LiftEffects Extraordinary Woman Conference and Star Awards was a truly inspiring event which highlighted the extraordinary achievements of ordinary women who share the desire to help others and make a difference. I’d also like to congratulate Jackee Holder, Vee Roberts, Paula Moio, Lily Mensah and Hira who also received awards. And a heartfelt thank you to Jenny Garrett for nominating me, and congratulations for receiving her second Star Award. Jenny’s talk about legacy and leaving the pile higher for others has energised me and motivated me to keep focussed.